Last night, Emily Blunt attended the premiere of Mary Poppins Returns in Los Angeles. Since she's the titular character, we expected her hair and makeup to look fresh and whimsical. (Even though we haven't seen the movie yet, we're pretty sure fresh and whimsical are two of the best words to describe it.) We weren't wrong. She all but floated down the red carpet in a cloud of a gown, wearing rosy-pink lipstick, bold lashes, and a soft and romantic updo. The entire look was straight out of a fairytale, but her hairstyle was truly next-level. It was, after all, complete with a diamond-encrusted hairpin. Casual, right? Luckily, we know the steps and the products Blunt's hairstylist, Laini Reeves, used to achieve the look. Trust us when we say that replicating it is easier and more affordable than you might think (and no, a spoonful of sugar was not involved). Reeves posted this image to her Instagram earlier today. You can click through the gallery to see a close-up of Blunt's hair at the end. Blunt's hair was parted down the center before being loosely pulled back and pinned at the nape of her neck. The tousled texture and curled face-framing pieces in front made the end result soft and ethereal. 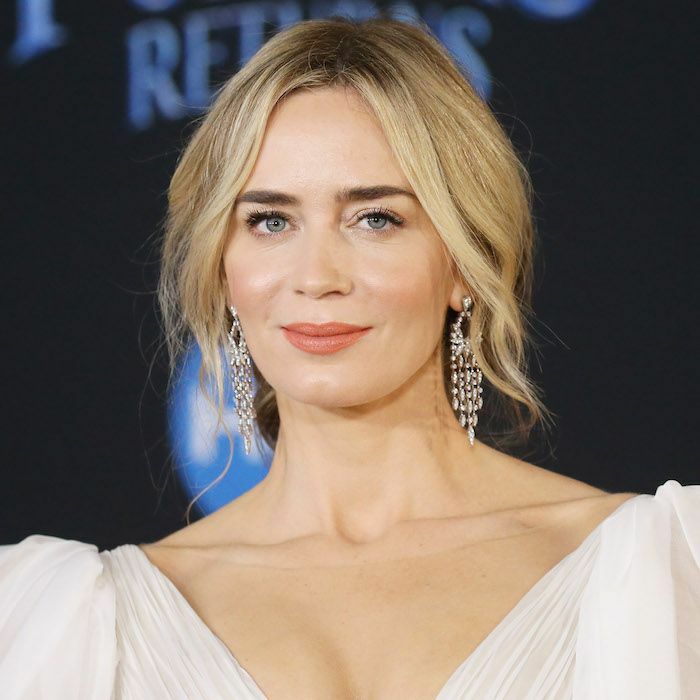 According to a press release, Blunt's magical hair only took four products to achieve—not typically the case when it comes to red carpet hairstyles. All four products belong to the same brand, which happens to be one that you've probably never heard of before. The brand is Pai-Shau, a line of tea-infused products that have also been used on the famous locks of Meghan Markle and Amy Adams. Each product contains the brand's signature tea complex—a blend of white, green, black, pu-erh, and African red bush tea—which provides vitamins, minerals, and antioxidants to the hair. The first thing Reeves used on Blunt's hair was a multitasking product which doesn't launch until December 4. It's called the Something to BeLeave-In, and it amplifies color, detangles, protects against pollution and heating tools, controls frizz, and more. Keep an eye out for that. However, since she misted it all over Blunt's hair before brushing it, and we want to follow every step thoroughly in our re-creation, we thought we'd recommend one of our favorites until the Pai-Shau product launches. It's Reverie Milk Leave-In Nourishing Treatment ($42), which is an oil-cream hybrid that softens our hair and adds a lot of much-needed shine to our lengths. 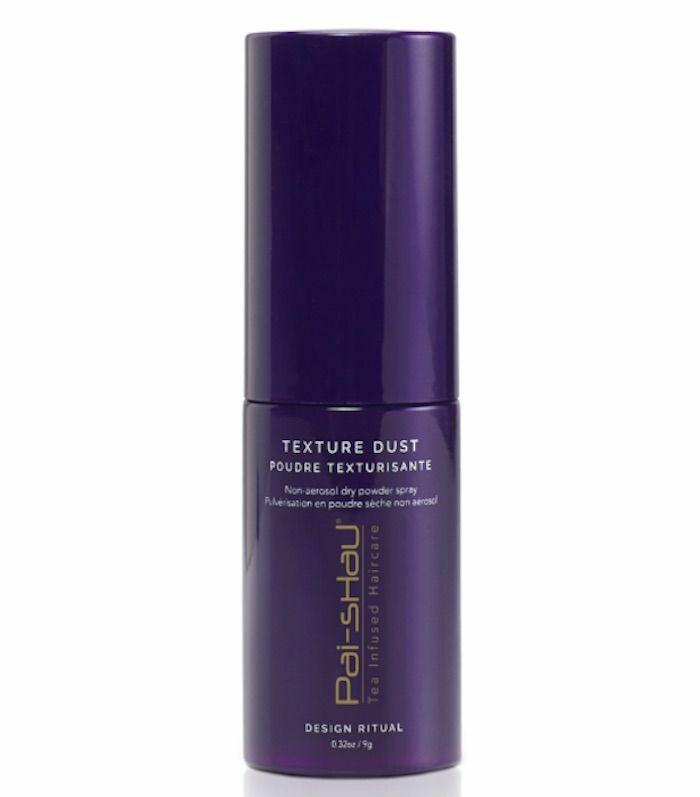 After brushing the leave-in product through, Reeves reached for this Texture Dust, which is a non-aerosol dry texture spray that adds volume, definition, and, yes, texture to the hair. Reeves concentrated the spray at the root of Blunt's hair before lightly massaging it into the scalp for volume and hold. Based on the product description, we think this would be a great product to use before braiding the hair, just to give it a little extra grit and hold. 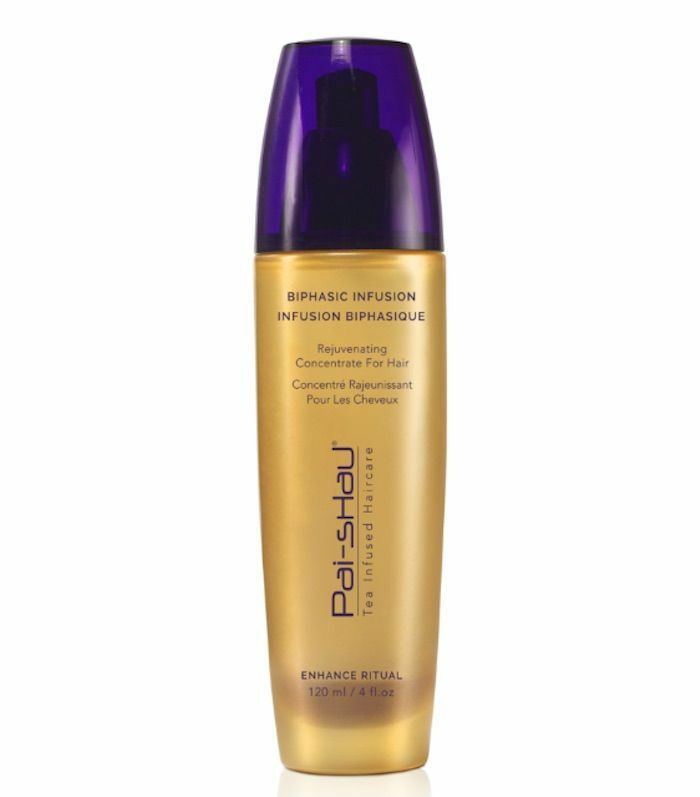 After curling Blunt's hair with a two-inch curling iron (we like the Hot Tools 2 Inch Curling Iron, $55), Reeves ran two pumps of Pai-Shau's Biphasic Infusion through the mid-lengths and ends of Blunt's hair for extra shine. 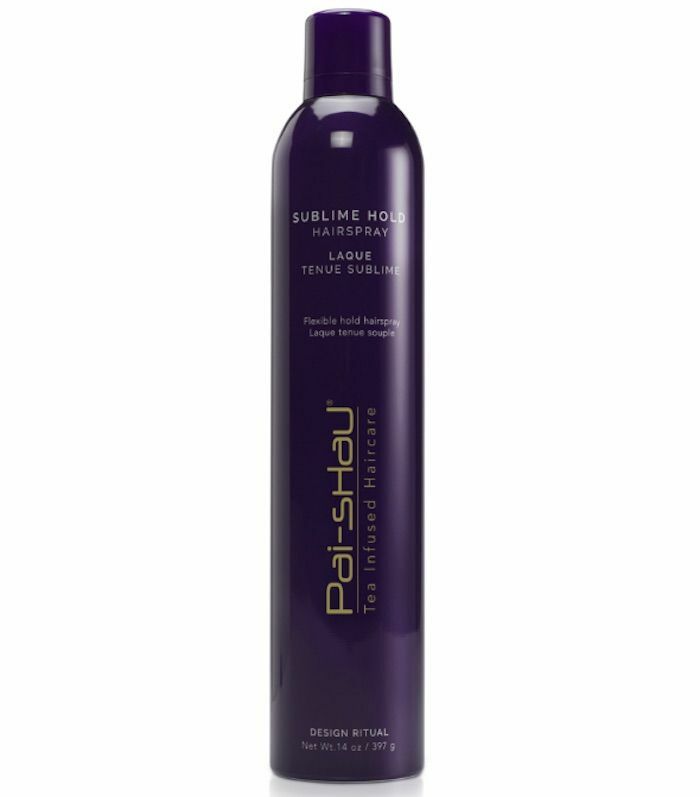 It's an oil-free daily hair treatment that hydrates, nourishes with amino acids, and seals the hair cuticle for intense shine. It can even double as a heat protectant if it's applied to damp hair before styling. After the shine was satisfactory, Reeves loosely braided Blunt's hair before twisting it up and pinning it against itself on the nape of her neck. She secured the braid-bun combo with bobby pins. (A celebrity's hair can't come undone in the middle of the red carpet.) Then, she carefully pulled out pieces from the updo to create a purposeful "messy" look. The final step was to spritz it with a medium-hold, non-sticky hair spray, like this one. As Reeves put it in her Instagram caption, Blunt's hair was the perfect example of "a fairytale with a twist." It was soft, romantic, and magical. Now please excuse us while we go re-create the look for ourselves. It is, after all, Mary Poppins–approved. Next, check out our full review of Victoria Beckham's favorite $265 moisturizer.